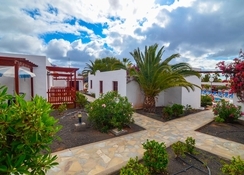 Discover Bungalows Castillo Club Lake in Fuerteventura, which offers guests independent accommodations to enjoy this island. These bungalows, with capacity for up to three people, are decorated in a simple and traditional style, using wooden furniture and bright colours that add vitality to the rooms. They have a kitchen where guests can prepare all kinds of dishes during their stay, private bathroom and living room with television. Additionally, they have a bedroom where you can find single or double beds. 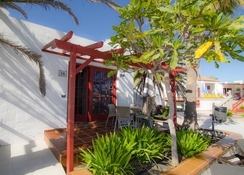 Some have a terrace while others a balcony, from where you can contemplate the views of the surroundings and you can enjoy the climate of Fuerteventura. Bungalows Castillo Club Lake has Internet access in the common areas, as well as a sauna and a fitness centre where guests can spend unforgettable moments during their stay. 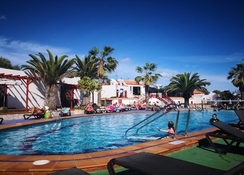 It also has an outdoor swimming pool, a solarium and a restaurant where you can taste dishes of the traditional cuisine of the area made with typical products. The establishment offers a ticket service, tour desk, car rental, currency exchange and 24-hour reception that improve the quality of the stay. Bungalows Castillo Club Lake is great choice of accommodation to be able to tour the island with the comfort and freedom that only a home can provide. During the time that guests stay in these bungalows, they can enjoy activities such as golf or spend long hours on the beach. You can also visit the surroundings of these lodgings knowing places such as the house Museum of Unamuno, the Ecomuseum of Alcogida or the Montaña Roja located in the vicinity of this establishment. Rooms at Bungalows Castillo Club Lake have a kitchen, where guests can prepare their own menus during their stay, private bathroom and living room with television. They have a room with single beds that invite rest and relaxation. From the terrace or balcony, you can contemplate the views of the surroundings of the property. Internet connection is available in the common areas of this establishment. Bungalows Castillo Club Lake houses a restaurant where you can taste typical dishes of the area. You can also explore the neighbourhood with its host of restaurants and bars. There is the Volcano restaurant, the Fado Rock Steakhouse, Pizzart Italiana and others. 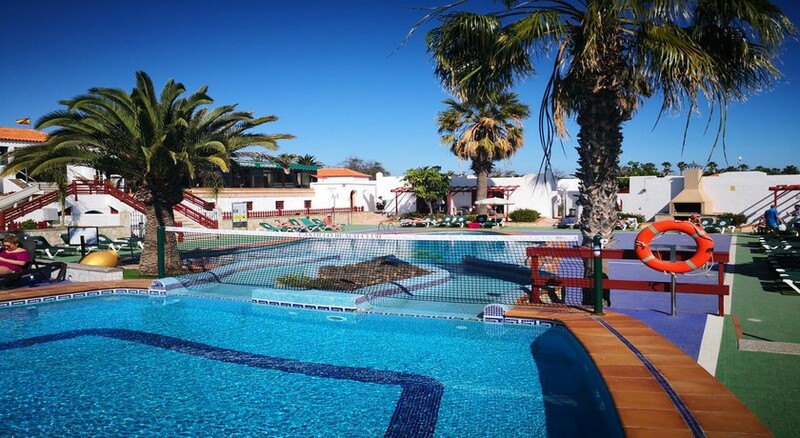 The hotel features an outdoor pool, sun terrace, sauna and fitness center. It also offers ticketing services, tour desk, car rental, currency exchange and 24-hour reception. Nice place for value. We were off season but I can only imagine how nice it is during summer time. Great Easter holiday, bungalows clean, friendly and welcoming. A little walk to the beach and main restaurants (about 20 minutes) but definitely great value for money. Pool area lovely and staff very friendly. Bungalow was fair . Pool v.nice.but the eating place was poor . Food very poor. The bar area was poor plastic chairs and table clothes.ugh .just basic. All round .